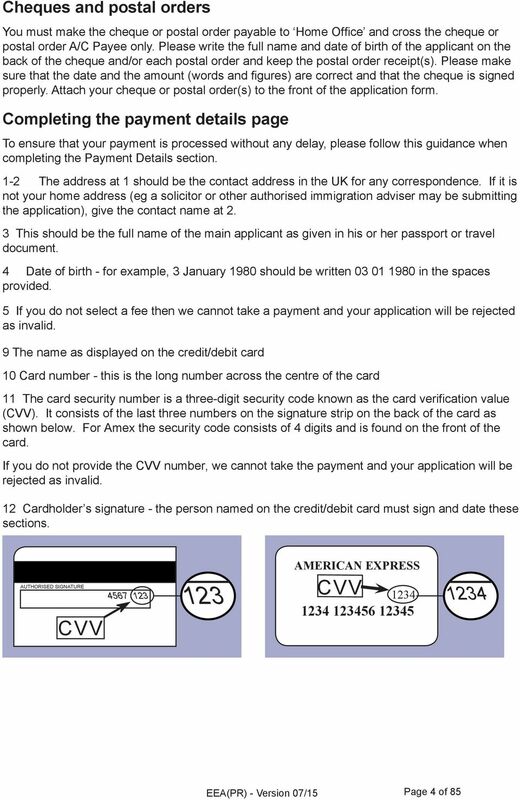 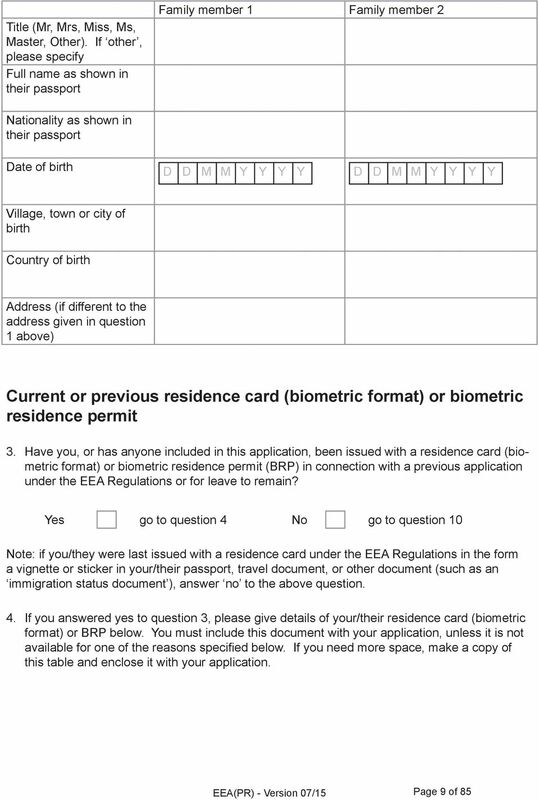 Download "EEA(PR) Application for a document certifying permanent residence or permanent residence card under the EEA Regulations"
1 EEA(PR) Application for a document certifying permanent residence or permanent residence card under the EEA Regulations Who this form is for Use this application form if you wish to apply for a document certifying permanent residence (if you re an EEA national) or permanent residence card (if you re a non-eea national) as confirmation of a right of permanent residence under the Immigration (European Economic Area) Regulations 2006 ( the EEA Regulations ). 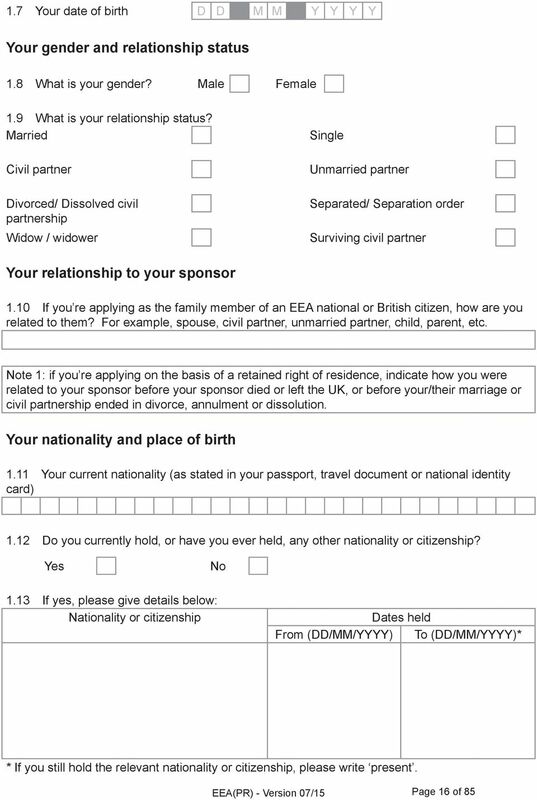 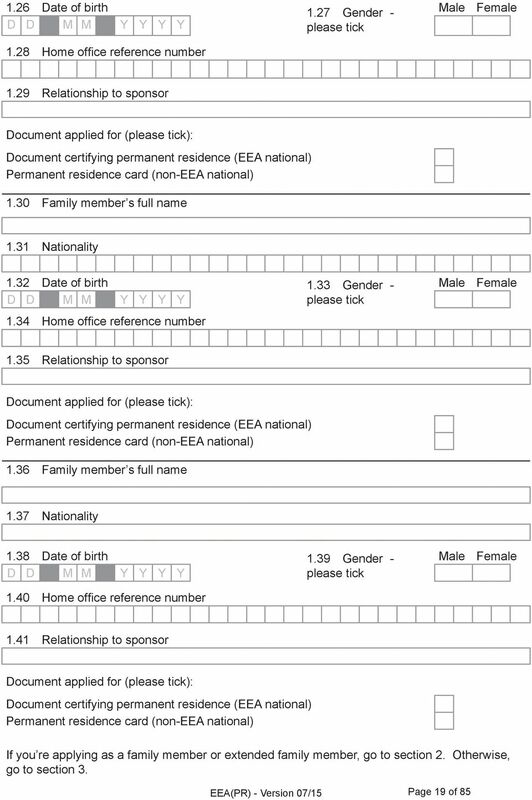 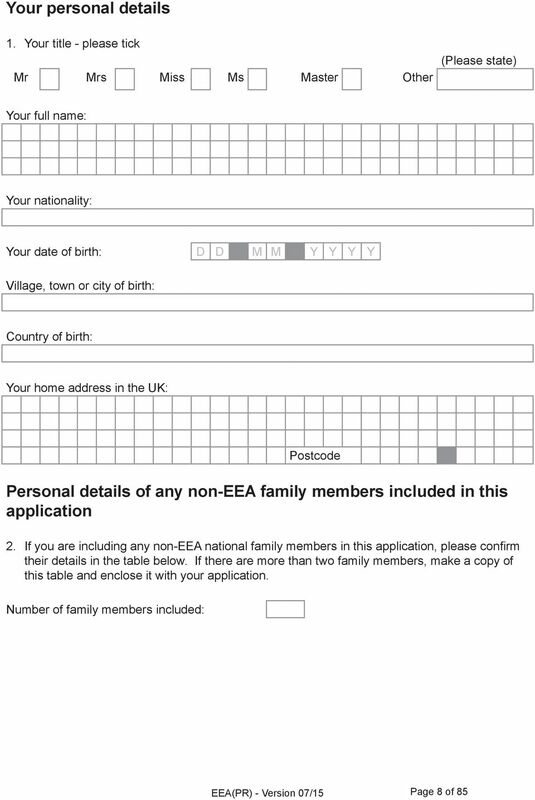 Any reference on this form to EEA nationals includes Swiss nationals. 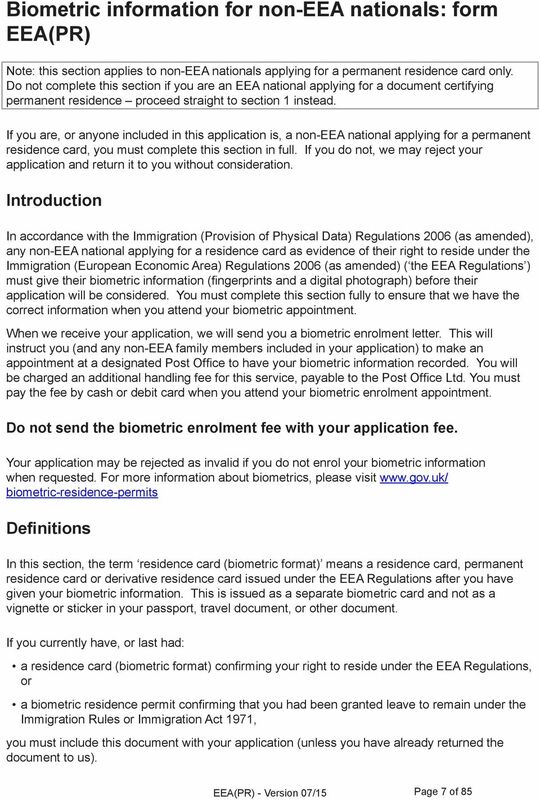 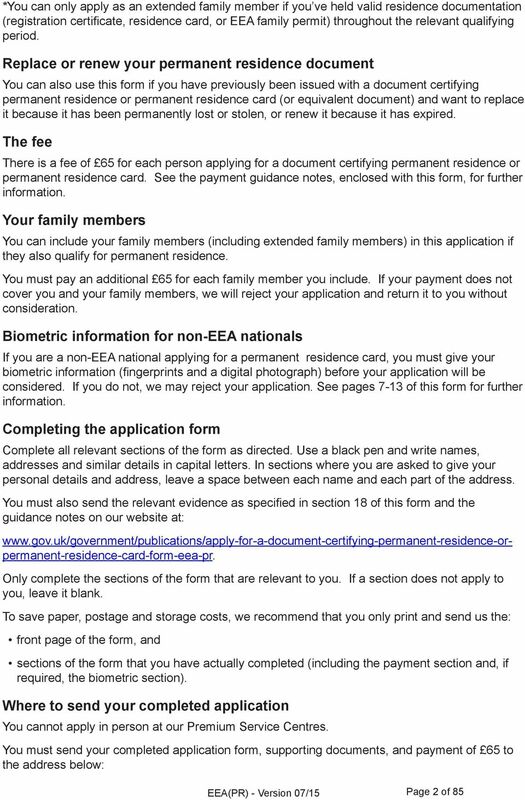 Eligibility You must normally have lived in the UK for a continuous period of five years as: an EEA national qualified person (worker, self-employed, self-sufficient, student or jobseeker), a family member or extended family member* of an EEA national qualified person or permanent resident, a former family member of an EEA national if you ve retained your right of residence after the EEA national died or left the UK, or your/their marriage or civil partnership ended in divorce, annulment or dissolution, or a family member of a British citizen who worked or was self-employed in another EEA state before returning to the UK ( Surinder Singh cases). 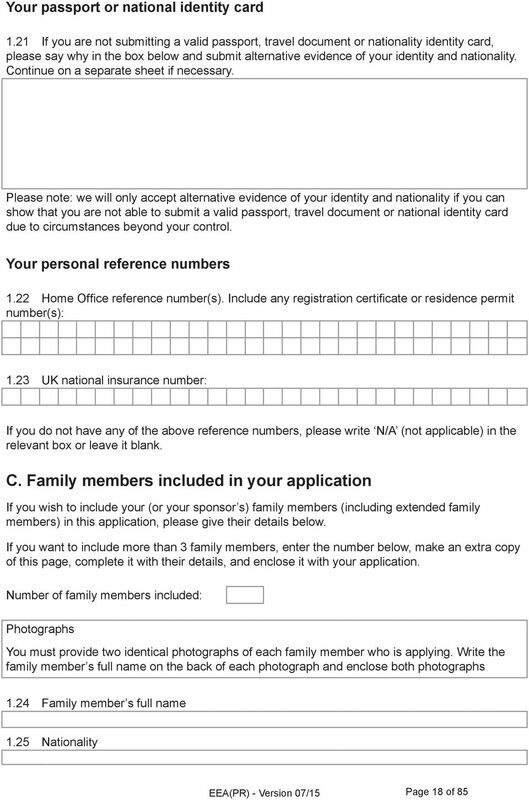 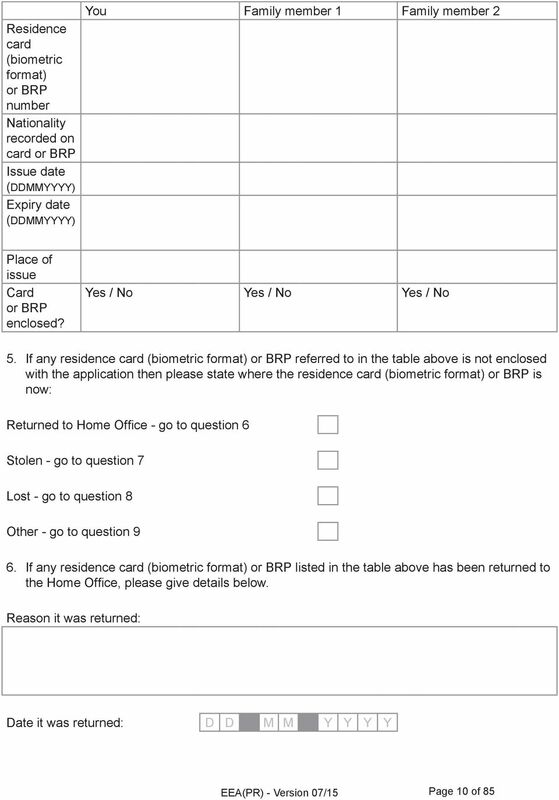 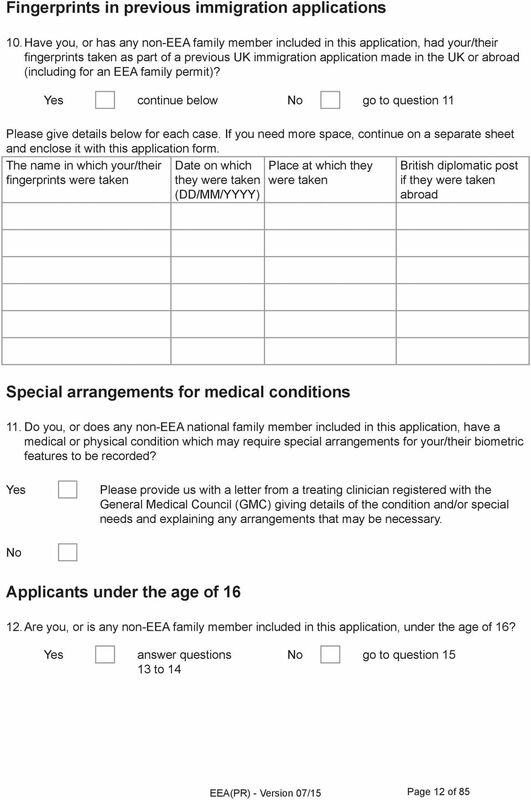 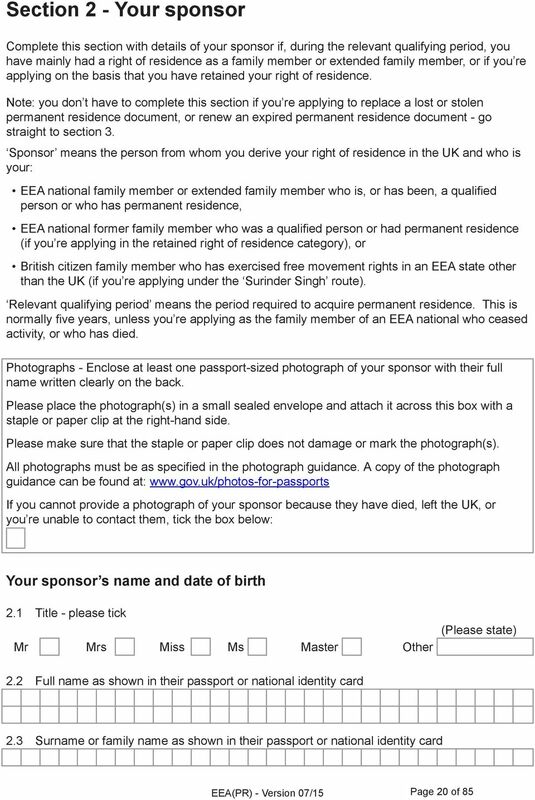 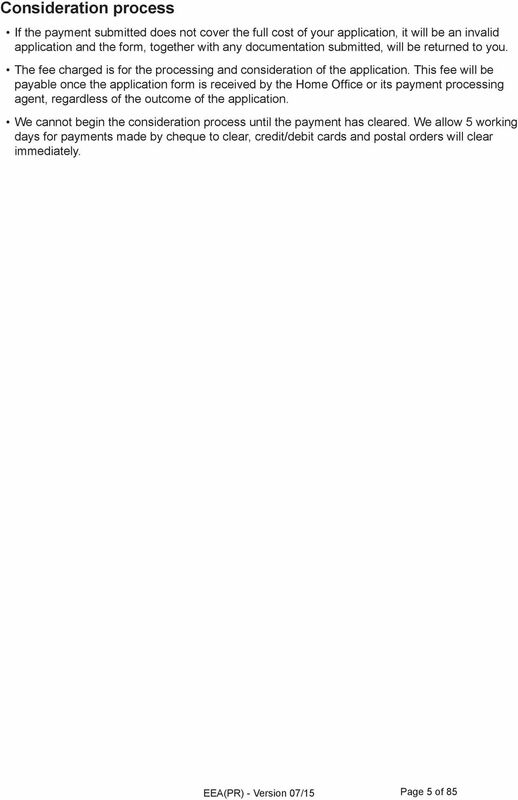 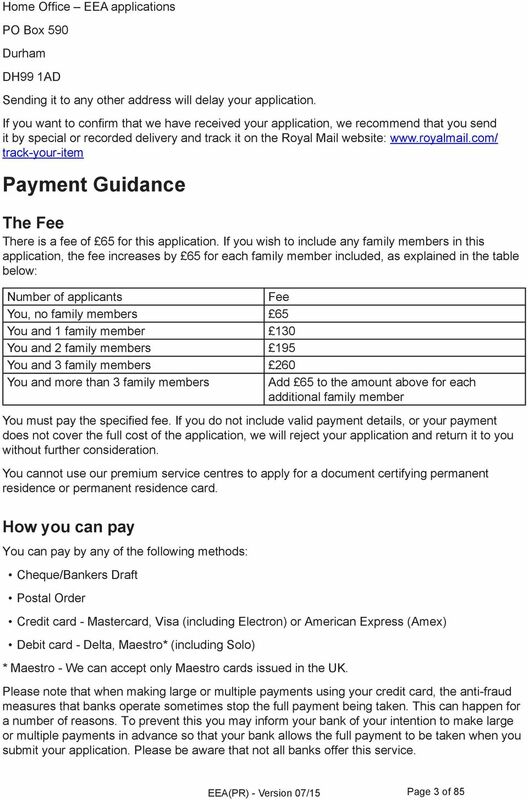 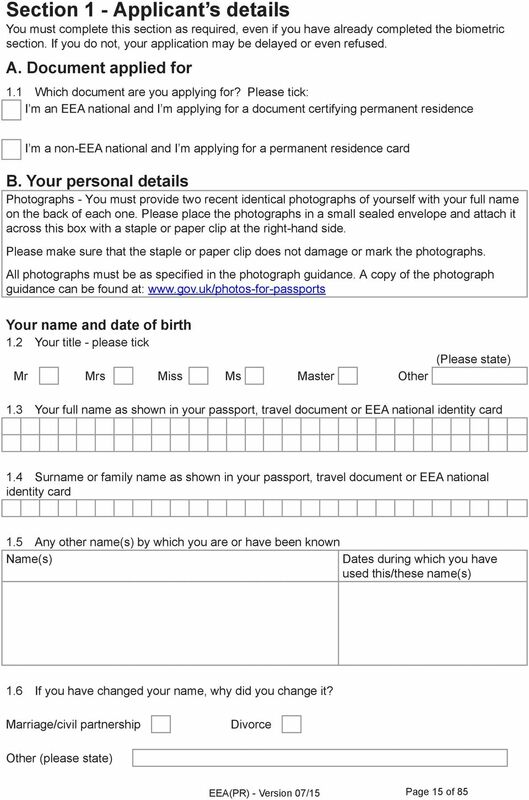 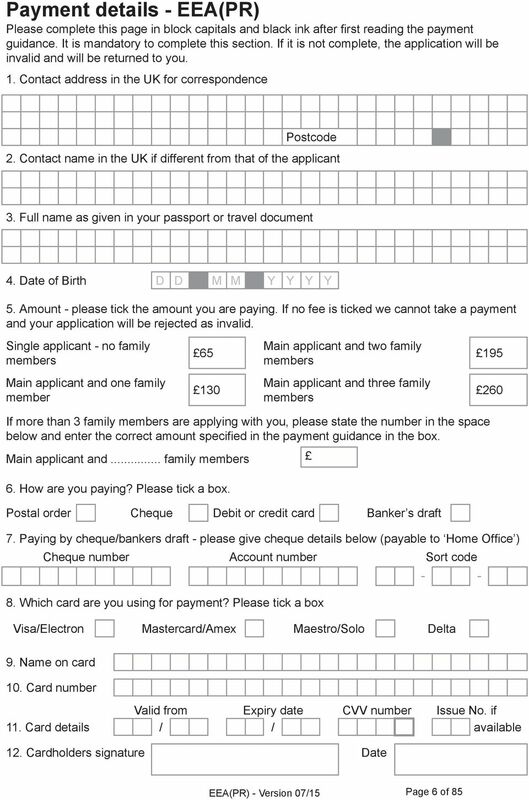 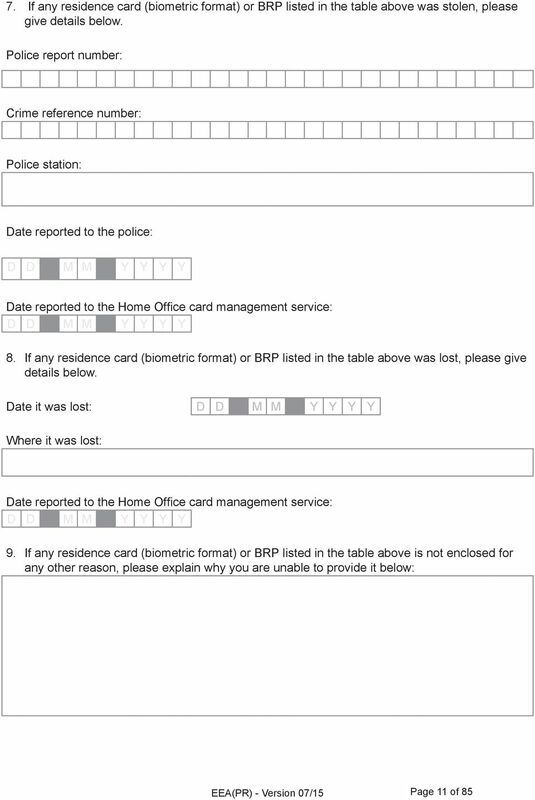 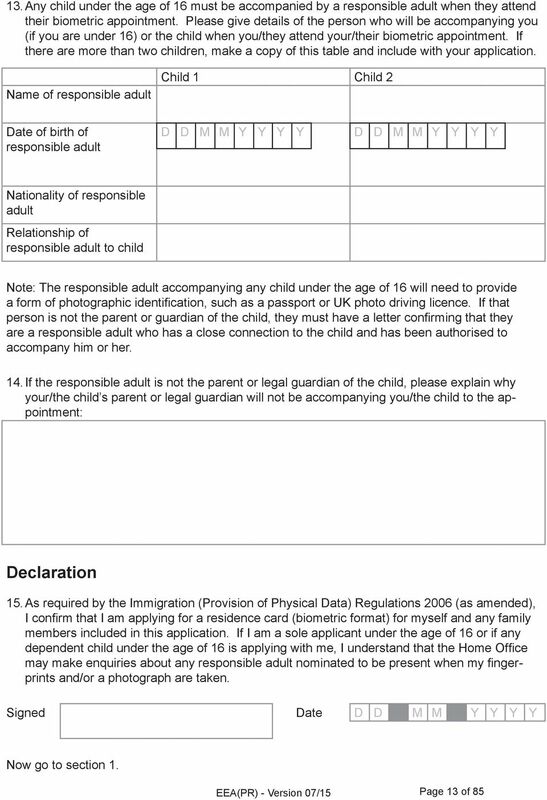 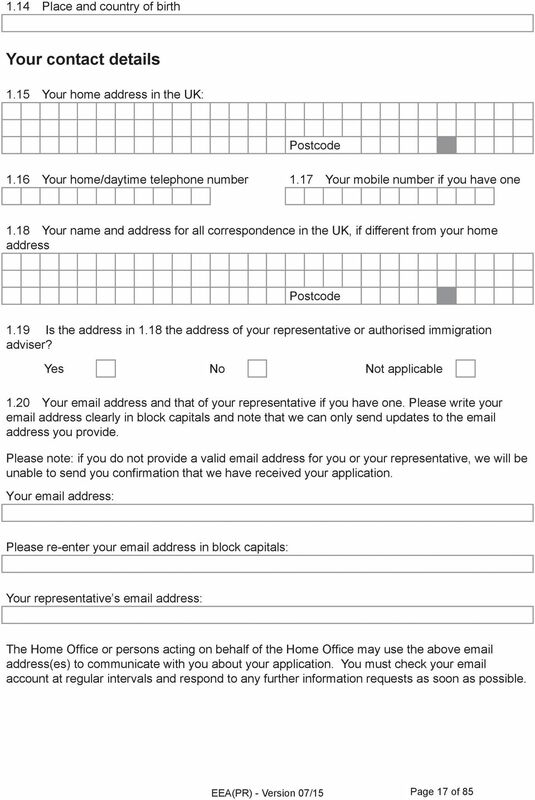 You can also qualify if you are: Version 07/2015 This form is to be used for applications made on or after 20 July 2015 an EEA national former worker or self-employed person who has ceased activity in the UK because you have retired, are permanently incapacitated, or you re now working or selfemployed in another EEA state but still retain your residence in the UK, the family member or extended family member* of an EEA national who has ceased activity, or the family member or extended family member* of an EEA national former worker or selfemployed person who has died. 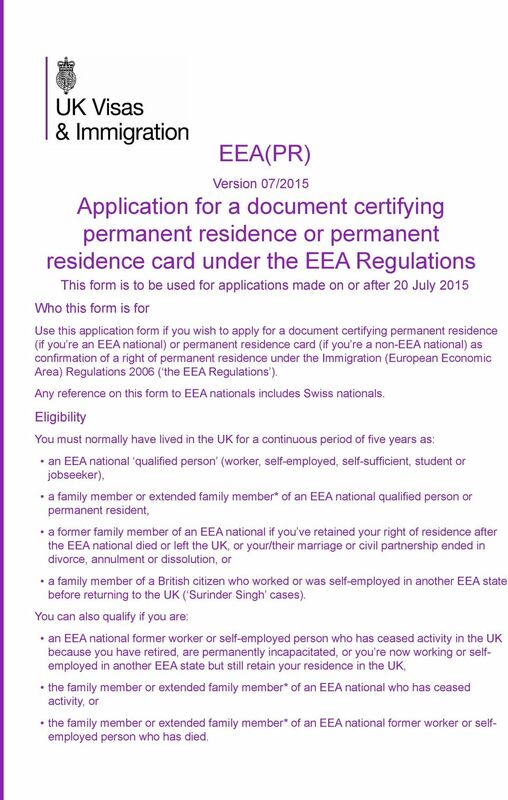 Version 2.0 EEA(PR): guidance notes This document provides detailed guidance on the evidence you must submit if you re applying for a document certifying permanent residence or permanent residence card.